Hello there dear readers! 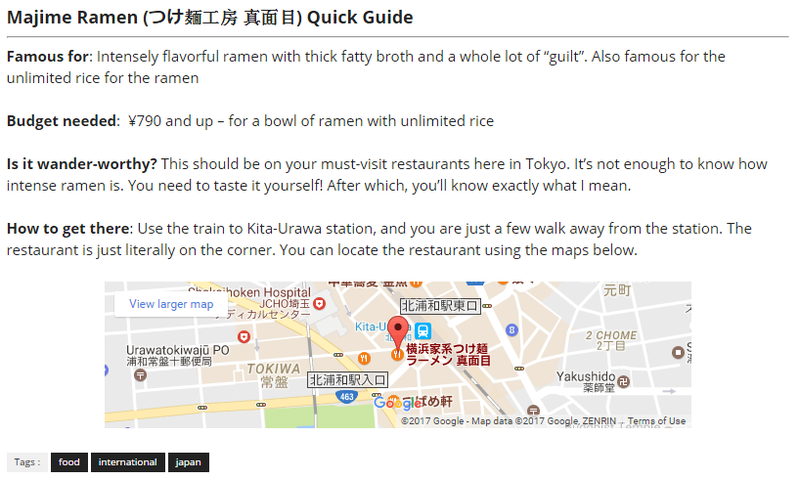 You might be wondering why there wasn't much activity here in this food blog for the past few weeks, and truthfully told, I wasn't able to explore new restaurants that would be of interest to you. Hence, while I was on temporary hiatus, I decided to focus on revamping my travel blog, and give it a fresher look, Thankfully, I was able to do so during the weekend, the blog is now live again with updated content. This also means that A Not-So-Popular Kid will now contain mostly about food found within Metro Manila, Philippines. Rest assured that I'll still make this food blog up to date, as I promised myself to provide lots of content for this 2017. So, stay tuned! Just like this food blog, Wander Kid Travels will contain a highly personal touch when it comes to writing, since it also acts my travel journal. However, I'm making it intuitive as well for an easier read to those who might take interest. Hence, I'm highlighting and summarizing details that matters to you in the Quick Guide portion at the end of each post. Check out the photo below for a sample. 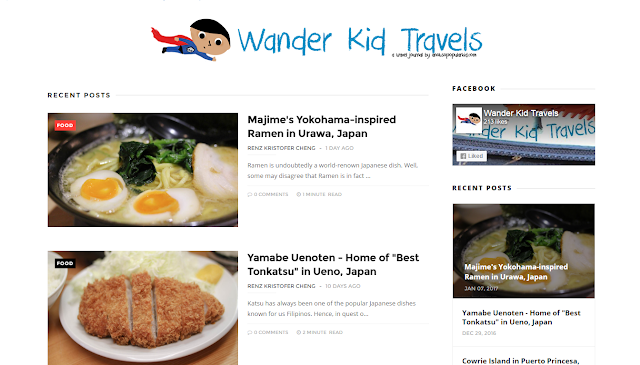 Hopefully, you can give Wander Kid Travels the same support you are providing for this blog. In my end, I would give my best to make the posts very useful and entertaining as well. You can check out the travel blog here at Wander Kid Travels.